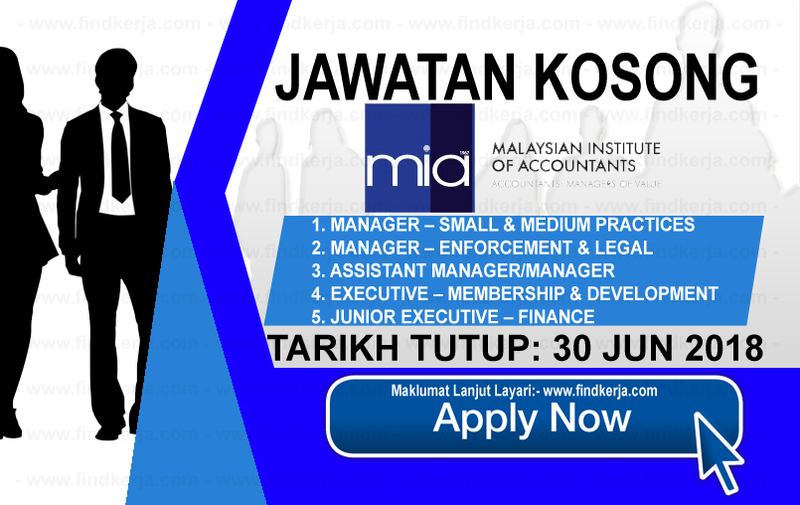 Malaysian Institute of Accountants (MIA) is the umbrella body for the accountancy profession in Malaysia. It was established under the Accountants Act, 1967 to regulate and develop the accountancy profession in this country. MIA operates under the purview of the Ministry of Finance through the Accountant General's Department. MIA is the only accountancy body empowered by law to regulate the accountancy profession in Malaysia, thus making MIA membership mandatory for those holding themselves out or practising as an accountant in the country. MIA’s membership encompasses both legal and market recognition for accountants in Malaysia.